В статье представлен анализ проблематики, связанной с дискурсом глобального гражданского общества, актуализированной такими заметными событиями в мировой политической жизни последнего времени, как украинский кризис, сирийский конфликт, активизация международного терроризма, захлестнувшие Европу миграционные потоки, и разворачивающиеся вокруг них политические дискуссии. Показано, что автономный и линейный характер глобализации преувеличен, а дискурс глобального гражданского общества оставляет без внимания фактор власти и властные реалии современной мировой политики. Ключевые слова: глобализация, власть, мировое общество, мировой порядок, дискурс, глобальное управление, глобальное гражданское общество. Бердяев Н.А. Философия неравенства. М.: Институт русской цивилизации, 2012. Богатуров А.Д. Глобализация как «синдром поглощения» в международной политике // Богатуров А.Д., Косолапов Н.А., Хрусталев М.А. Очерки теории и политического анализа международных отношений. М.: Научно-образовательский форум по международным отношениям, 2002. С. 335—355. Гётц Н. Переосмысливая НПО. Идентичность заведомого неудачника международных отношений // Современная наука о международных отношениях за рубежом. Хрестоматия: В 3 т. / Под общ. ред. И.С. Иванова. Т. 2. М.: НП РСМД, 2015. С. 106—134. Глобальное гражданское общество [Электронный ресурс] // Василик М.А., Вершинин М.С., Козырева Л.Д. Политология: Словарь-справочник. М.: Гардарики, 2001. Режим доступа: http://politike.ru/dictionary/ 286/word/globalnoe-grazhdanskoe-obschestvo. Гусейнова Т.С. Определение содержания дискурса // Вестник Челябинского университета. 2010. № 13 (194). Филология. Искусствоведение. Вып. 43. С. 26—33. Кагарлицкий Б.Ю. Неправительственные организации — «глобальное гражданское общество» [Электронный ресурс] // Кагарлицкий Б.Ю. Политология революции. М.: Алгоритм, 2007. Режим доступа: http://lib.sale/ideologiya-politicheskie-rejimi/nepravitelstvennyie-organizatsii-globalnoe-31176.html. Кегеян С.Э. Политический дискурс как составляющая дискурсивных процессов: многообразие под- ходов к изучению в общей системе лингвориторической парадигмы // Вестник Сочинского государственного университета туризма и курортного дела. 2012. № 2 (20). С. 212—215. Негосударственные участники мировой политики: Учебное пособие / Под ред. М.М. Лебедевой и М.В. Харкевича, М.: Аспект Пресс, 2013. Ревзина О.Г. Дискурс и дискурсивные формации [Электронный ресурс] // Критика и семиотика. 2005. Вып. 8. С. 66—78. Philology.ru. Русский филологический портал. Режим доступа: http://www.philology.ru/linguistics1/revzina-05.htm. Сорокин Ю.А. Политический дискурс: попытка истолкования понятия // Политический дискурс в России. Материалы рабочего совещания. М.: Наука, Флинта, 1997. С. 57—62. Цыганков П.А. Теория международных отношений. М.: Гардарики, 2007. Ahmed S., Potter D.M. NGO’s in International Politics. Bloomfield, CT: Kumarian Press, Inc., 2006. Bellamy A.J. "Humanitarian Intervention and the Three Traditions." Global Society 17.1 (2003): 3—20. Bull H. "Martin Wight and the Theory of International Relations: The Second Martin Wight Memorial Lecture." British Journal of International Studies 2.02 (1976): 101—116. Cutler A.C. "The ‘Grotain Tradition’ in International Relations." Review of International Studies 17.01 (1991): 41—65. Davies T.R. The Possibilities of Transnational Activism: the Campaign for Disarmament between the Two World Wars. Leiden: Brill, 2007. Éthier D. Introduction aux relations internationales. Montréal: Les Presses de l'Université de Montréal, 2010. Geeraerts G. "Analyzing Non-State Actors in World Politics." Pole Paper Series 1.4 (1995). Web. <http://poli.vub.ac.be/publi/pole-papers/pole0104.htm>. Kegley W.C., Blanton S.L. World Politics: Trend and Transformation, 2012—2013 Edition. Boston, MA: Wadsworth Cengage Learning, 2013. PDF-file. <http://www.cengagebrain.com.au/content/9781133979975.pdf>. Nau H.R. Perspectives on International Relations: Power, Institutions, and Ideas. Wachington, DC: CQ Press, 2007. Perret V. "Les discours sur la société civile en relations internationales. Portée et enjeux pour la régulation démocratique de la mondialisation." Études internationales 34.3 (2003): 381—399. Wendt A. "Anarchy Is What States Make Of It: The Social Construction of Power Politics." International Organization 46.02 (1992): 391—425. Wight M. International Theory: The Three Traditions. Leicester: Leicester University Press, 1991. Willets P. "Transnational Actors and International Organizations in Global Politics." The Globalization of World Politics. Eds. J. Baylis, S. Smith and P. Owens. Oxford: Oxford University Press, 2008. Цыганков, П. А. Дискурс глобального гражданского общества в свете обострившейся потребности глобального управления [Электронный ресурс] / П.А. Цыганков // Электронное научное издание Альманах Пространство и Время. — 2015. — Т. 9. — Вып. 1: Цивилизации в эпоху глобализма. К 75-летию со дня рождения А.С. Панарина. Тематический выпуск кафедры философии политики и права Философского факультета МГУ имени М.В. Ломоносова. — Стационарный сетевой адрес: 2227-9490e-aprovr_e-ast9-1.2015.51. Most notable current events of the world political life (such as the Ukraine crisis, the Syria conflict, the intensification of international terrorism, sharp rise in migration flows and related political disagreements in Europe) have all made it especially important to study the discourse of global civil society. Deconstruction of the discourse and analysis of its social and theoretical roots demonstrate that it developed in response to a new demand for global governance. However, the arguments by the global civil society’s supporters about emergence of ‘bottom up’ global and presumably democratic governance do not take into consideration a number of important ontological and epistemological factors. The anti-Russian sanctions, new West’s attempts to push Russia and China to marginal positions of ‘regional powers’ in world politics demonstrate that the autonomous and linear nature of globalization is overstates. I conclude the discourse of global civil society leaves unattended the factor of power and power realities of contemporary world politics. It exaggerates the regulative role of non-government organizations, entrepreneurial structures and international institutions, and their independence from large states particularly the United States and its allies. Keywords: globalization, power, world society, world order, discourse, global civil society, global governance. Berdyaev N.A. Philosophy of Inequality. Moscow: Institute of Russian civilization Publisher, 2012. (In Russian). Bogaturov A.D. "Globalization as a ‘Syndrome of Absorption’ in International Politics." Essays on the Theory and Political Analysis of International Relations by A.D. Bogaturov, N.A. Kosolapov, and M.A. Khrustalev. Moscow: Scientific Educational Forum on International Relations Publisher, 2002, pp. 335—355. (In Russian). Götz N. "Civil Society and NGO: Far from Unproblematic Concepts (The Fragment)." The Modern Science of International Relations Abroad. Chrestomathy. Ed. I.S. Ivanov. Moscow: Russian International Affairs Council, 2015, volume 2, pp. 106—134. (In Russian). Guseynova T.S. "Determination of Discourse." Herald of Chelyabinsk University. Series Philology. Art Criticism 43.13 (2010): 26—33. (In Russian). Kagarlitsky B.Yu. "Non-Governmental Organizations: ‘Global Civil Society’." Politology of Revolution. 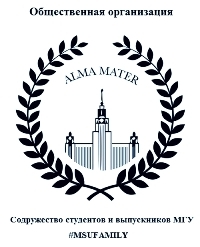 Moscow: Algoritm Publisher 2007. Web. <http://lib.sale/ideologiya-politicheskie-rejimi/nepravitelstvennyie-organizatsii-globalnoe-31176.html>. (In Russian). Kegeyan S.E. "Political Discourse as a Component of Discursive Processes: Variety of Approaches to General System of Lingua-rhetoric Paradigms." 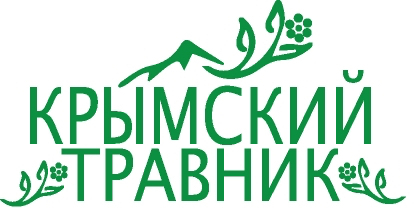 Herald of the Sochi State University for Tourism and Recreation 2 (2012): 212—215. (In Russian). Non-State Actors in World Politics. Eds. M.M. Lebedeva and M.V. Kharkevich. Moscow: Aspect-Press Publisher, 2013. (In Russian). Revzina O.G. "The Discourse and Discursive Formations." Criticism and Semiotic 8 (2005): 66—78. Philology.ru. 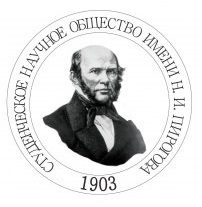 Russian Philological Portal. N.p., n.d. Web. 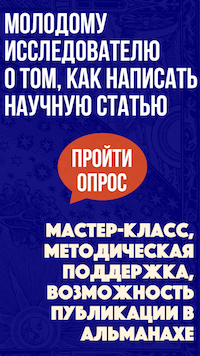 <http://www.philology.ru/linguistics1/revzina-05.htm>. (In Russian). Sorokin Yu.A. "Political Discourse: Attempt to Interpret the Concept." Political Discourse in Russia. Proceedings of the Workshop. Moscow: Nauka Publisher, Flinta Publisher, 1997, pp. 57—62. (In Russian). Tsygankov P.A. Theory of International Relations. Moscow: Gardariki Publisher, 2007. (In Russian). 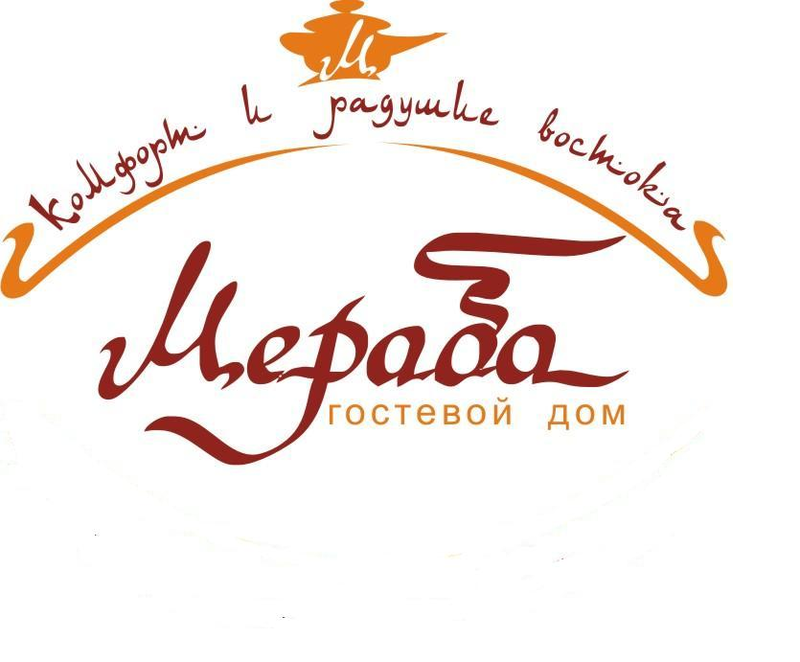 Vasilik M.A., Vershinin M.S., Kozyrev L.D. "Global Civil Society." Political Science: The Dictionary Catalog. Moscow: Gardariki Publisher, 2001. Web. <http://politike.ru/dictionary/286/word/globalnoe-grazhdanskoe-obschestvo>. (In Russian). Tsygankov, P. A. "The Discourse of Global Civil Society in the Light of New Demand for Global Governance." Elektronnoe nauchnoe izdanie Al'manakh Prostranstvo i Vremya [Electronic Scientific Edition Almanac Space and Time. Civilizations in the Age of Globalism: On the Occasion of 75th Anniversary of the Birth of Alexander S. Panarin. Thematic Issue of the Chair of Philosophy of Politics and Law, Philosophical Department of Lomonosov Moscow State University] 9.1 (2015). Web. <2227-9490e-aprovr_e-ast9-1.2015.51>. (In Russian).